Alice + Olivia leather sandal. 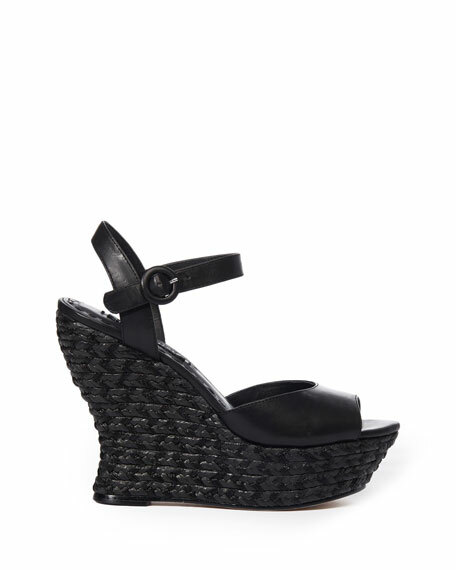 5.3" braided-jute wedge heel with platform. For in-store inquiries, use sku #2496933.